An incredibly nutritious Antipodes cream that feels beautifully light and fresh on the face and is intensely hydrating. Active ingredients include New Zealand manuka honey, a natural antibacterial agent, to help keep skin clean and free of blemishes and antioxidant Vinanza Grape from award-winning Marlborough sauvignon blanc seeds to energise and revitalise. With the pure plant fragrance of vanilla pod and mandarin. Aqua (water), Butyrosperum parkii (shea butter), Squalane (vegetable) extract, Leptospermum scoparium mel (manuka honey), Persea gratissima (avocado oil), Macadamia ternifolia (macadamia oil), Rosa canina (rosehip oil), cetearyl olivate, sorbitan olivate, lecithin (vegetable) extract, vitis vinifera (Vinanza Grape grape seed) extract, macropiper excelsum (kawakawa leaf) extract, gluconolactone, sodium benzoate, calcium gluconate, essential oil fragrances of vanilla pod and mandarin: coumarin, d-Limonene, linalool, citral, geranoil. Apply at sunrise by gently massaging across your face, neck and decolletage. Use after your favourite cleaner, toner and serum. 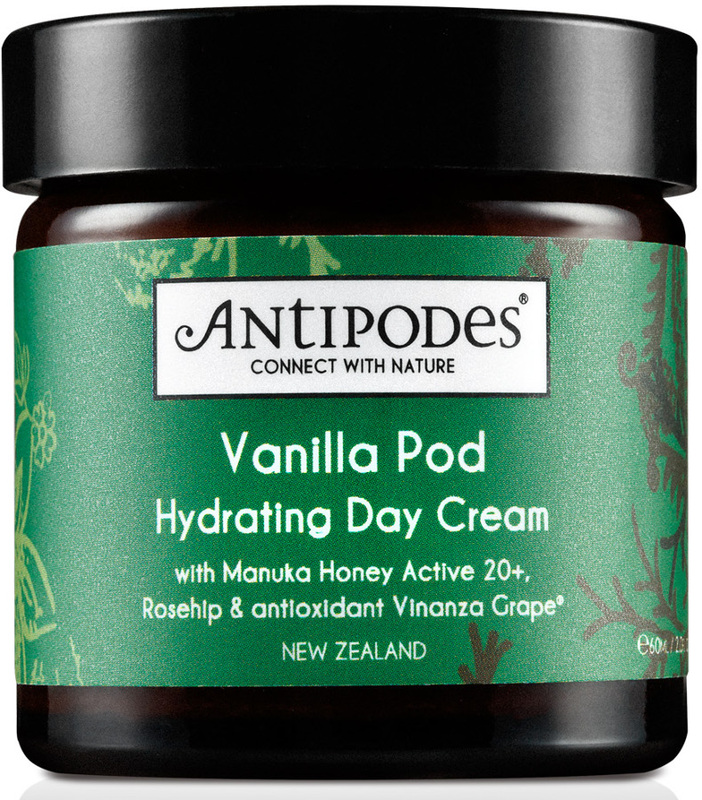 The Antipodes Vanilla Pod Hydrating Day Cream Moisturiser - 60ml product ethics are indicated below. To learn more about these product ethics and to see related products, follow the links below. Lovely medium weight moisturiser, that sinks in well and doesn't leave a greasy residue. It could smell nicer, but it's not offensive or offputting. rnI will buy it again. 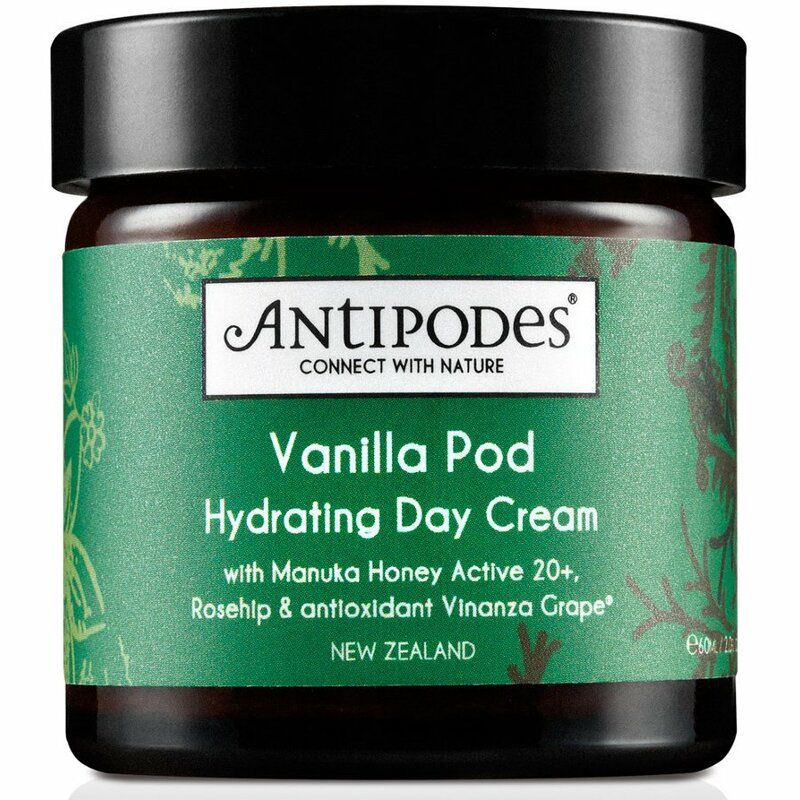 There are currently no questions to display about Antipodes Vanilla Pod Hydrating Day Cream Moisturiser - 60ml.